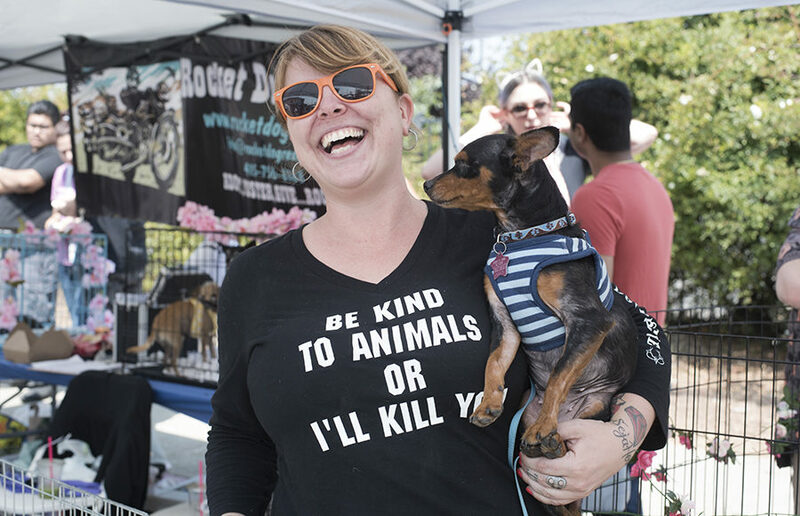 From 10 a.m. to 4 p.m. Saturday, passers-by near the intersection of Ninth and Carleton streets could hear live music and the sound of dogs barking, cats meowing and people laughing at the Berkeley Humane Society’s sixth annual Bark (and Meow) Around the Block event. The event brought together more than 20 animal shelters and rescue organizations from across the Bay Area. It was hosted in conjunction with NBC’s Clear the Shelters event, which was a nationwide pet adoption drive that happened Saturday, according to Berkeley Humane’s marketing manager Erin Thompson. According to an email from Thompson, 63 pets were adopted from Berkeley Humane Society alone, and 128 animals were adopted at the event. More than 600 animals were adopted in the Bay Area on Saturday. Amid the different shelters, rescues and sponsors tabling at the event was the Berkeley Police Association, or BPA, which helped sponsor and plan the event. BPA Vice President Sgt. Emily Murphy also said she has been serving on the event’s planning board. “We try to create a safe space … so people feel comfortable about taking a new family member into their home,” Murphy said. Jill Schwocho, a volunteer with Rocket Dog Rescue, said many of the dogs at Rocket Dog Rescue come from unfortunate situations. Dogs tend to thrive in homes compared to in the pound, which is why the program puts rescues into temporary foster homes to rehabilitate them. According to Schwocho, because Rocket Dog Rescue doesn’t have a physical shelter, events such as Bark Around the Block help with adopting out dogs more quickly. 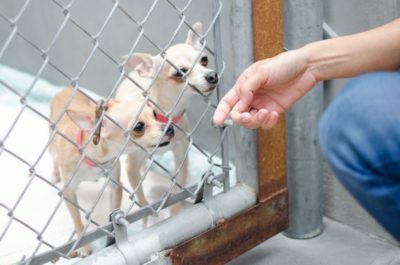 Frank Hartig, a member of the board of directors at the Humane Society of the North Bay, said the event was an adoption opportunity for families who weren’t able to afford the adoption fees. 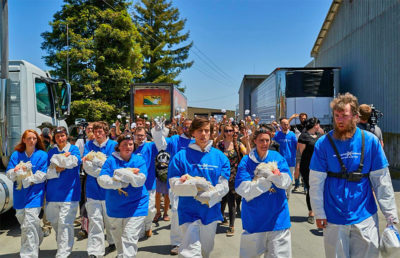 The Humane Society of the North Bay had two dogs at the event that were sponsored by benefactors, allowing people to adopt the dogs without paying any fees whatsoever. Attendees were not just limited to dogs and cats; there were birds and rats also up for adoption, and Thompson mentioned seeing a rabbit as well. 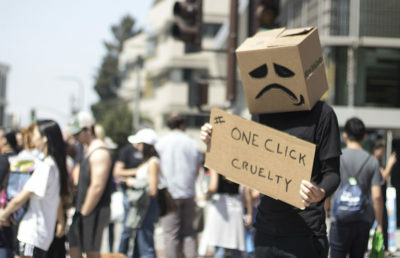 The type of animal one adopts, however, is up to the adopter, according to passer-by Roland Luk. He said people should consider their own personalities and the time they want to spend with a pet, among many other factors. Contact Sakura Cannestra and Revati Thatte at [email protected].